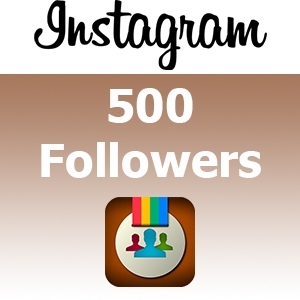 Just for $1.6 you will receive more than 500 Instagram followers + more than 300 likes on your photos. It´s almost free, because on other sites this service costs more. Specify a link to your profile in the Instagram and in the near future the order will be executed. With the help of this service you will be recognized by thousands of people around the world. You can successfully promote your business, or just brag to your friends and acquaintances. We provide all kinds of services in social networks. If you need subscribers in YouTube, instagram, twitter, Facebook or video views, reposts, comments or other actions in any social networks, please contact us, just click on the button "Ask Question" at the top. In detail we will consult and prompt.